I haven’t done much digital preservation. I’ve been in the bit trenches. The work I’ve done is to digital preservation as community sandbagging is to the Army Corps of Engineers. I need to reword my resume. Bit preservation is our most urgent set of tasks; managing multiple copies, managing and using fixity information and ensuring our data is secure. All these activities are directed at long term usability, but digital preservation is broader. It’s concerned with the future viability of file formats and software; with future renderability. Having done the basic bit level work, we might consider migrating files en masse to more sustainable formats or “leave the bits alone” by emulating or virtualizing earlier computing environments. Our digital preservation decisions will not be identical across institutions. Best practices are like recipes; they’re frameworks. “Approaches to copies and formats should fit the overall contours of your institution’s collecting mission and resources. This is about the digital infrastructure you establish to enable the more tailored work that is done around individual collections” (Owens, p. 105). 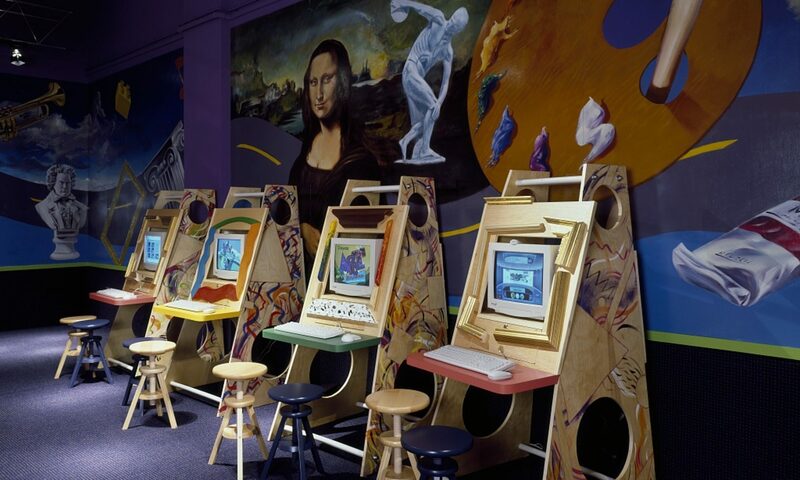 A video art or game collecting museum might attempt emulation to preserve as much of the experience of the work as possible; seeing the artifactual aspect as more intrinsic than the informational to its mission. But if those bits aren’t safe, these considerations will never arise. Sandbag first. Much of our study this week is focused on fixity and storage. In my bit preservation experience, fixity checks can get lost in the mix. 80% of NDSA member organizations reported that they use some sort of fixity checking. I think that members and non-members alike have mostly heard the urgent call to action to get the bits off the floor and maybe while they’re at it, make multiple copies. Then, of course, they have to store them somewhere, so they’re forced to make storage decisions. But I’m not so sure that organizations often understand the necessity of maintaining bit-level integrity and how they’d go about it. Then again, they could be taking it for granted that their storage solution is a fixity solution as well. And it might be, but I think that’s something of an afterthought. We’re going to talk about access later in this course, but my impression has been that access, as a buzzword, can cloud our perspective on preservation. I’m concerned that when that scan hits the web, it’s tempting to feel that our preservation work is done. We’d never take that approach to analog media. We wouldn’t hang a painting in a gallery, throw our hammer in the truck and head home. Well we might, but we’d be invested in maintaining the integrity of that work for future shows. Accessibility now isn’t access. This might be obvious to us, but just this week I was speaking to someone about born digital material and they asked me if I was also interested in endangered media. It’s still a hard sell. That brings me to one final thought I had while reading the case studies in the POWRR group white paper. The experience at Chicago State University was illuminating. “The defining moment when several library staff members recognized the importance of digital preservation activities occurred when they realized that grant activities digitizing library collections included no provision for storage or preservation” (p. 21). That might be because the grants themselves don’t allow for appropriate storage solutions. I was investigating grants for an in-house digitization project I was working on and had determined that cloud storage was the best, and most affordable, offsite storage solution for my organization. Once I found a grant that wouldn’t exclude in-house digitization projects, I realized it had seemingly arbitrary restrictions excluding “subscription-based” or simply, “cloud” storage. Our reading this week helped me recontextualize my own work as a novice in this field. I wonder if anyone else had a similar experience. These readings gave me a lot of food for thought regarding our institutions that we’re helping. It doesn’t seem like my organization really has a storage solution or a fixity solution… or would really understand what fixity is. Not that I’m judging them, because before this class I would’ve been hard-pressed to define these things or think about them strategically. “Our digital preservation decisions will not be identical across institutions.” This seems like such an obvious statement in hindsight, but it’s incredibly helpful to keep in mind. First establish what your organization’s digital preservation needs are; what they want to preserve; how these needs reflect their visitors’ needs. Then go from there. Tricia, I agree that the readings are useful for determining an approach to the consultant project. I’m realizing that some of the ideas that I originally had might prove to be unnecessarily complicated for a very small institution. My organization doesn’t have a great storage solution either and they don’t do fixity checks because they don’t know how to do this. They recognize that their current system is not working for them but they’re concerned that if they try to work towards a digital preservation solution, they will do something wrong and have to start over. But as I see it, pretty much any action they take now will be better than their current approach (which is essentially to do nothing). It’s encouraging to read that even the small actions of doing an inventory and making backup copies can make a difference. Similar to Tricia, while reading this weeks articles, especially Owen’s chapter, my brain kept thinking about my own personal digital preservation project. Since Intro to Archives, I’ve been on a mission to amass all of my family’s digital photos and digitize our printed ones. Needless to say, it has been quite the journey and I’m probably not even 10% done. Getting back to the readings and David’s post, I tried to relate myself as the “Lone Arranger” and while I have multiple (too many) copies of my pictures on various medias, I never thought about fixity or giving my brother a duplicate hard drive, or creating a Dropbox (but that’s mostly because I become paranoid about the interwebs). It is incredibly overwhelming to think about where to start and I empathize with the professional Lone Arranger, however one must start somewhere, and like David and Tricia said, you have to look at what your institution’s needs are and then start picking those bits up off the floor. Lastly, I found the quote, “The defining moment when several library staff members recognized the importance of digital preservation activities occurred when they realized that grant activities digitizing library collections included no provision for storage or preservation” surprising but also not surprising. Perhaps it is because of the relative newness of digital preservation that not many professionals and non-professionals (aka Grant organizations) tend to think about the complicated mess that is digital preservation. In any case, I think another big step that needs to occur is the education of others on how important this is becoming. Not only so that grant organizations will give us money toward it, but also to encourage better practices with non-digital archivists. I have definitely always considered myself (and still do, to an extent) as part of the “digitize everything” camp. But the section above from your post made me rethink this — hence the ‘extent.’ I work in analog preservation currently, 60%+ on preparation for digitization. The most frustrating thing I encounter in my job is when I spend dozens of hours on a project that has not been handled for decades, for it to be imaged, uploaded to the digital collections, and then placed back on the shelf, still too brittle to be used. I think that in terms of analog preservation leading to digitization, the conversion/normalization should be the end of the line for the physical item. (I know, blasphemous.) But the thought that that is it for the digital object is ridiculous. We constantly have access to better, quicker systems of storage and later retrieval. Archivists and digital curators should absolutely be looking into these technologies. Previous PostPrevious I Find Your Lack of Faith… Well, Prudent.